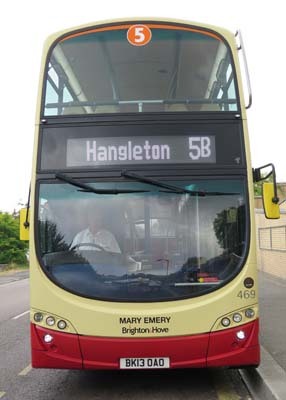 Connections with Brighton and Hove : Mary Emery (nee Talbot) came to live in Hove in 1927. Her father had served in the Sussex Regiment and returned to his home town. Mary attended her first 'Albion ' game at the age of 5 in September 1929 as a birthday treat. During World War ll she joined the ATS and had a distinguished record. BBC South East interviewed her many times about War time memories. Her active campaigning became legendary and included support for a Breast Cancer Unit in Brighton and keeping St Helens Church, Hangleton open, against threats of closure. It remains the oldest building in the City. The campaign to save the Albion has been written into the folk law of the City and County. Mary was a tireless campaigner, she was asked along with Des Lynam, Paul Samrah and Norman Cook (Aka Fatboy Slim) to represent supporters when they delivered a petition to the Prime Minister at Downing Street. Mary's philosophy was to support her community in any way she could. 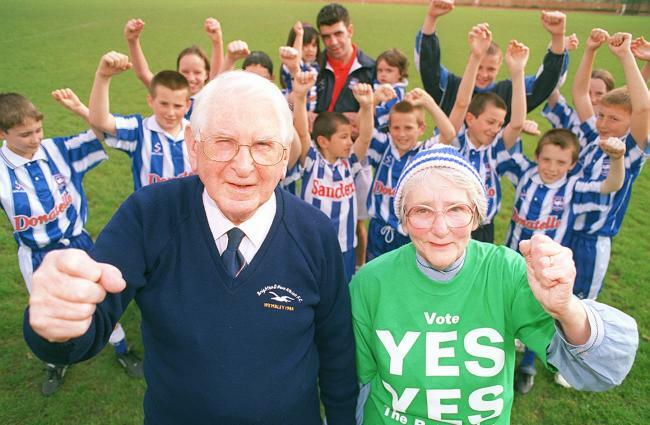 She wanted her beloved 'Albion to survive as a club and prosper for the sake of future generations. She lived to see them play in a world class stadium at the heart of our community. A servant of the City and County and Albion supporter and campaigner for 89 years, Mary Emery was like her team - Premier League. Mary died 22nd February 2018, aged 93 years. 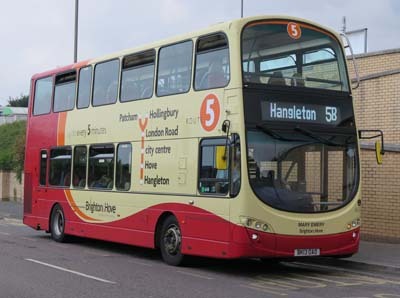 469 Volvo Gemini - carried name since July 2018 on Route 5.